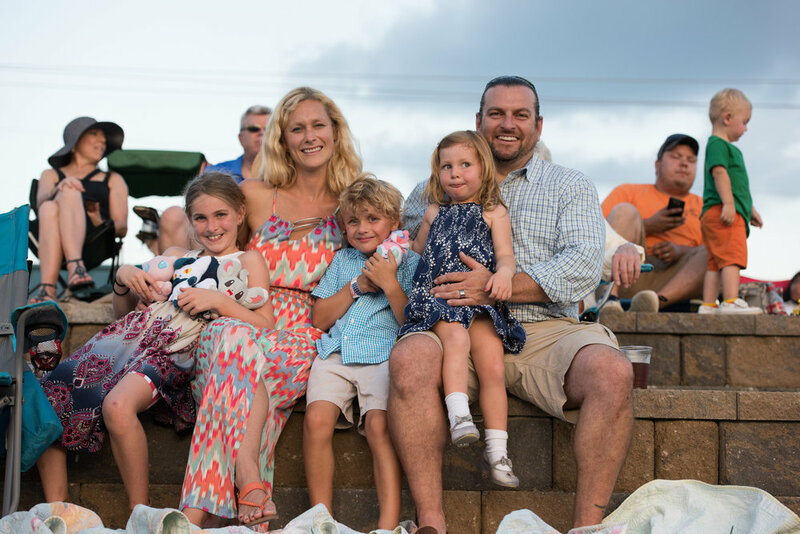 On our General Admission side, there is tiered seating built into the grass berm providing a place to sit, however, to make things even more comfortable, bring a blanket and/or chairs to "set up camp" and enjoy the exciting polo match. Delicious Catering by Suzette is on-site and ready to fill your order when you get hungry or thirsty. Click here to find out more about General Admission seating! Believe it or not, polo can be extravagant and elite, or informal and laid-back. 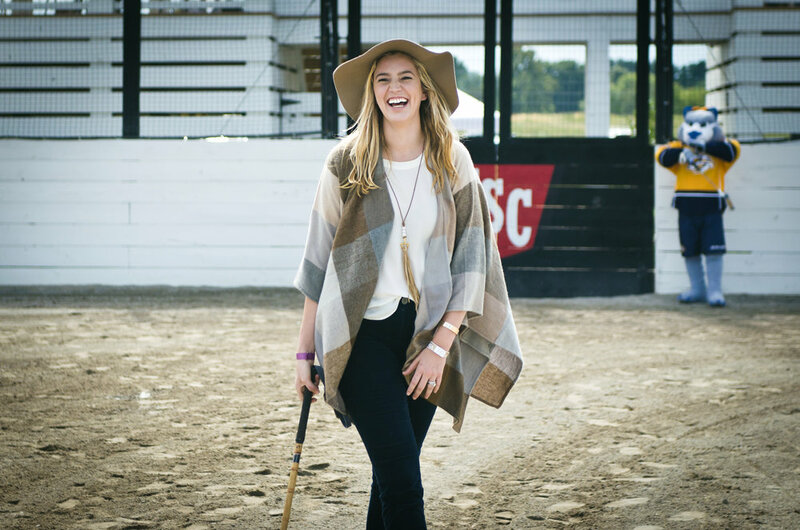 Many people envision polo as the Kentucky Derby or a scene from Pretty Woman where ladies don their beautiful dresses and elaborate hats. We at Franklin Polo Academy encourage our guests to dress comfortably and dress appropriately according to the weather conditions. A warning to the ladies, we recommend flat heeled shoes as both sides of the arena are grass berms. Our matches are family friendly and we encourage guests to support your favorite team by sporting their colors. If you're on our VIP Cabana side, chairs will be provided but you are more than welcome to bring a blanket to lay in the grass in front of your tent. If you choose not to get a picnic basket, you may still enjoy Suzette's delicious food at the concessions on the other side of the arena. If you do choose a picnic basket, it will be promptly delivered to your cabana as the match begins, complete with everything you may possibly need! Click here to find out more about VIP Cabanas! As in any sport, there are factors you have to be mindful of as a spectator. Balls may often be miss hit or unintentionally deflected and fly into the crowd. The horses and players will get up close to the walls of the arena, please refrain from leaning or sitting on the walls. It’s up to the spectators to be aware of what’s happening around them to keep the game safe and enjoyable. As appealing as it may be to visit our wonderful polo horses, please be respectful of the restricted designated horse/trainer/groom only areas. For those rogue polo balls that escape the arena, whoever fetches and returns them to the scoreboard tower will receive a prize! For more FAQ's click here! No outside food/drink permitted on premises. To those of age that plan to consume alcoholic beverages, please do not forget your ID. 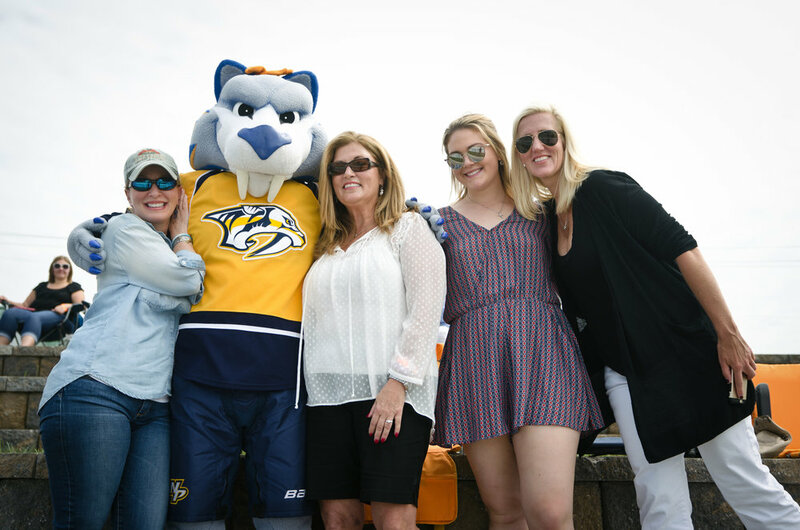 “Arena polo is really growing in the US, and Nashville has always been one of my favorite places to play. I love playing in the arena -- it is action packed!"